16. Sep – Perth, Australia – A close-up of one of the most cultural Australian things ever, a football. Similar to a rugby ball, a football use in an Australian football game is much more rounded in each corner of it ends, and slightly smaller then a rugby ball. But overall, the appearance of the Australian football is somehow more intriguing, by it being little longer in comparison with a rugby ball. The first ever football game in Australia (which was held back in the 1860’s), was played with a round ball, due to it being more ‘force grip’. An Australian man called T.W. 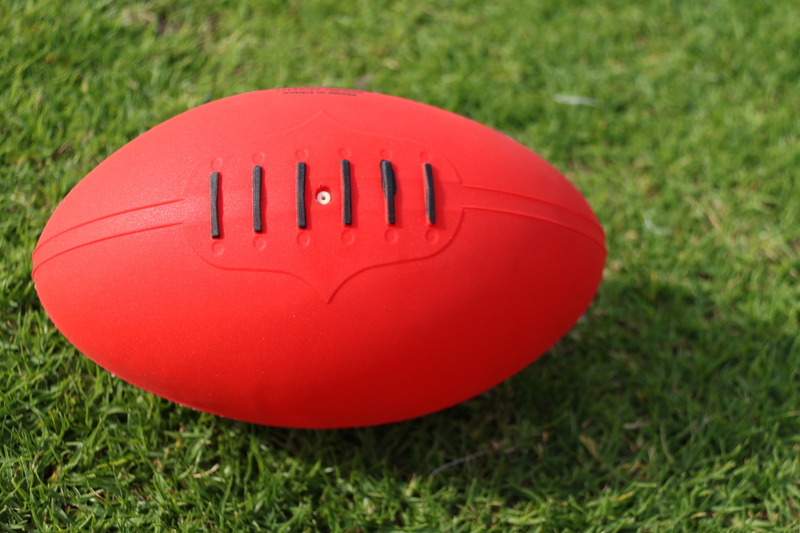 Sherrin in 1880 invented the football, after he was given a damaged rugby ball by mistake. So far, there are currently three football brands that manufactures footballs and those are: Burley, Ross Faulkner, and Sherrin.